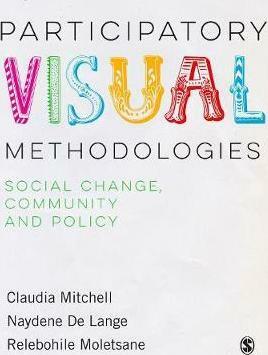 Claudia Mitchell co-authors new book, "Participatory Visual Methodologies: Social Change, Community and Policy"
Claudia Mitchell has co-authored a new book, Participatory Visual Methodologies, published this week by Sage. Naydene De Lange of Nelson Mandela Metropolitan University, South Africa; and Relebohile Moletsane of the University of KwaZulu Natal, South Africa, are contributing authors. The book illustrates the potential of participatory visual methodology to initiate and drive policy change. Research tools from the fields of health, education, sociology and sustainability are provided and discussed. "An overarching concern of this book relates to the impact of participatory visual research on community and policy dialogue," the authors write in the introductory chapter. " ...A central premise of this chapter – and indeed, of the book as a whole – is the idea that the meaningful engagement of the various social groups who participate in participatory visual research necessitates an understanding of the meaningful engagement of communities and various stakeholders as audiences in relation to this work. As such, we argue that if we are to take seriously participatory visual research and the potential of this work to influence." Claudia Mitchell is a James McGill Professor in the Department of Integrated Studies in Education, and Director of the McGill Institute for Human Development and Well-Being (IHDW). She has written extensively in the area of girlhood studies and is the co-founder and editor-in-chief for the award-winning Girlhood Studies: An Interdisciplinary Journal. 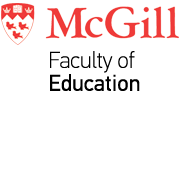 Dr. Mitchell was recently named a Research Fellow of the Pierre Elliott Trudeau Foundation. In 2016 Mitchell received the top research honour of the SSHRC, the Gold Medal, and was named a Fellow of the Royal Society of Canada.